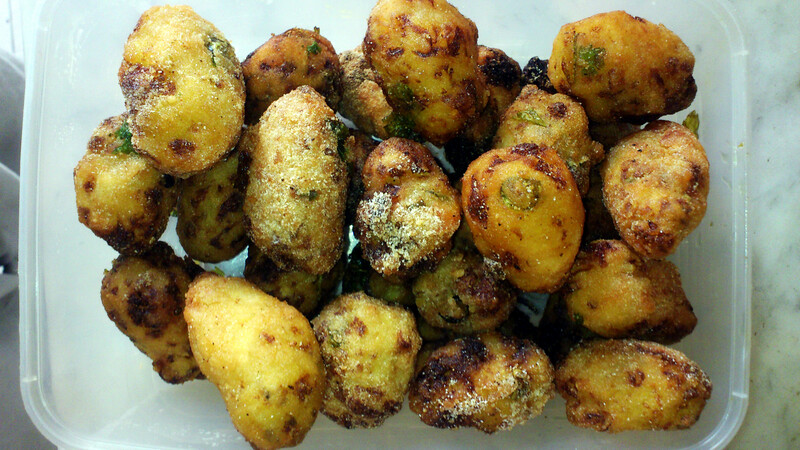 Crunchy Cauliflower or Kurkure Fulkopi (Fulkopi is what we call Cauliflower in bengali) is not very common food here. I still remember when I was a kid, we used to have Cauliflower and Potato curry, sometimes with Fish curry. I still remember, it was available only in winter. Now we can have it anytime in the year so no problem at all. It is basically a snack to be enjoyed with evening tea or coffee. It is very easy to prepare and takes very little of your time. You just need to deep fry the boiled Cauliflowers mixed well with Rice powders which gives the crunchy feel to it. I can give you the recipe for it, because this time I have prepared it! Don’t worry I am giving it only for those who really need it. I know most of you can prepare it from the name and hint without any problem. Please check the recipe for Crunchy Cauliflower.